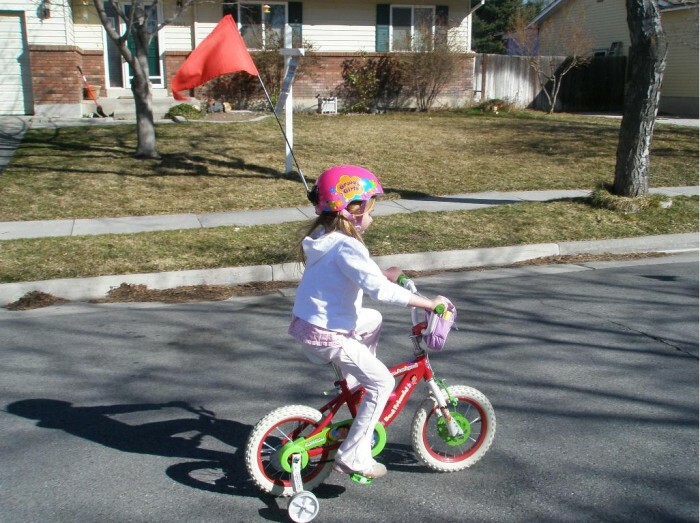 A helmet flag for providing added visibility and therefore safety to a rider of virtually any form of transportation that exposes a rider to view. The flag is preferably mounted to the rear of a helmet and is substantially removable. The flexible, interchangeable flag rod is partially comprised of a spring to further insure against breakage. Flags are interchangeable with respect to size, colors, and designs. I am looking to sell patent, production and trademark rights under a contract with royalties. 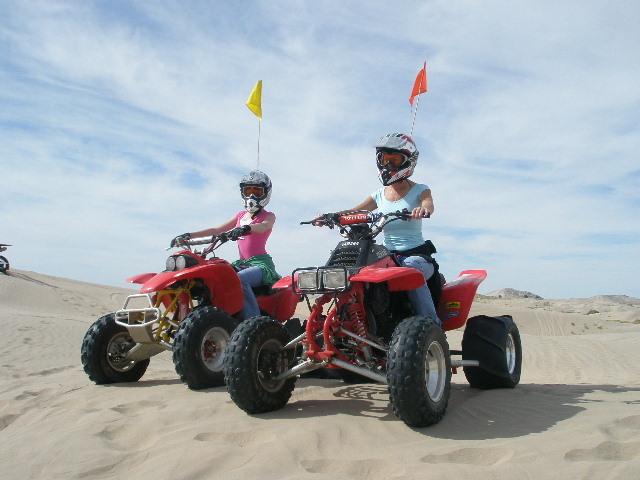 Product was first released in 2009 at Dealer Expo in Indiana. During the show we received the "Best New Product" . 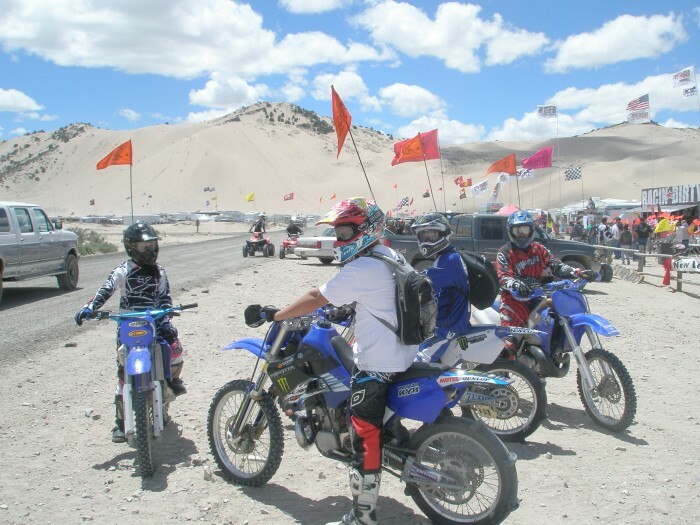 In 2010 Utah became the first state to officially change the whip flag law to allow the use of a helmet flag in lieu of a vehicle mounted whip flag. Helmet Flag should be sold where whip flags are sold nation wide. Helmet flag should be in every store that a whip flag is sold. 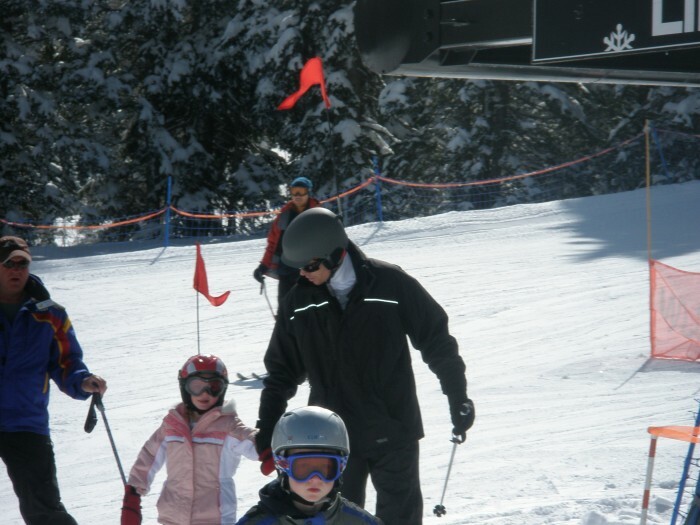 Market potential is great since the helmet has become a common safety device wore in other sports, such as skiing, snow boarding, motorcycling, snowmobiling, biking and kids biking . Can even be used in the construction industry on hard hats where high visibility on workers is a necessity. Most people who have seen or know what the helmet flag is think it is one of the best ideas they have ever seen. Very simple and very effective. 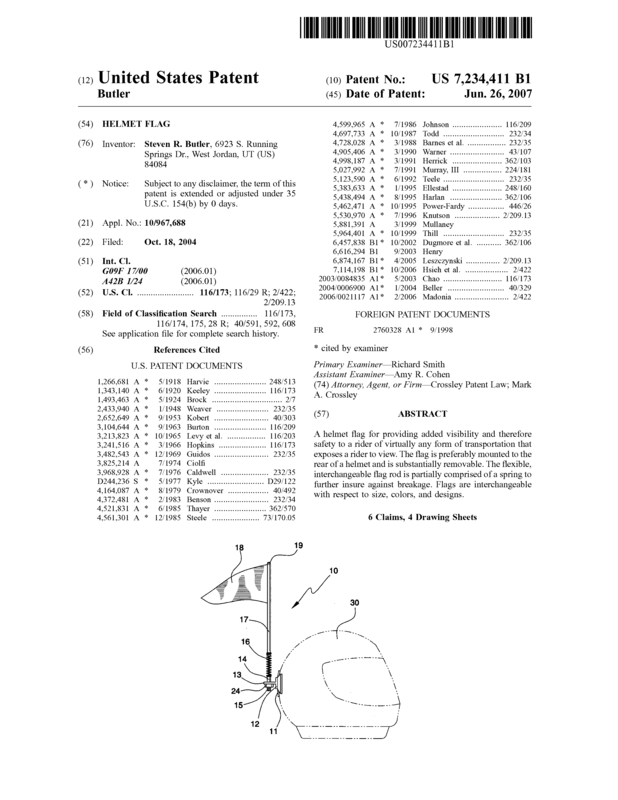 Page created at 2019-04-25 14:19:16, Patent Auction Time.